Combine all the ingredients in a large pitcher and mix well. 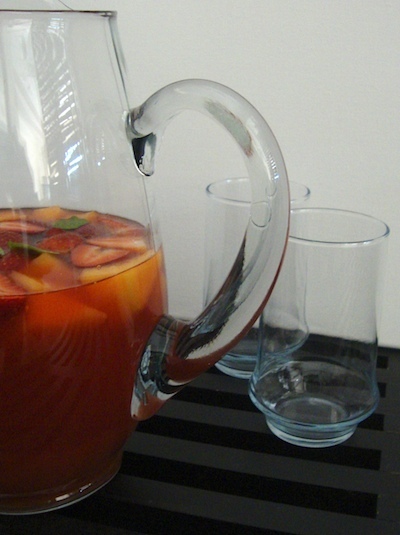 Serve icy cold with chopped fruit and mint leaves on top. I see myself sitting at a table on one of Europe's Plazas drinking this an watching the world go by. I'll join ya! Sounds like a great plan. I'm going to have to try this over the weekend. It sounds superb!